Hello Design Cutters! 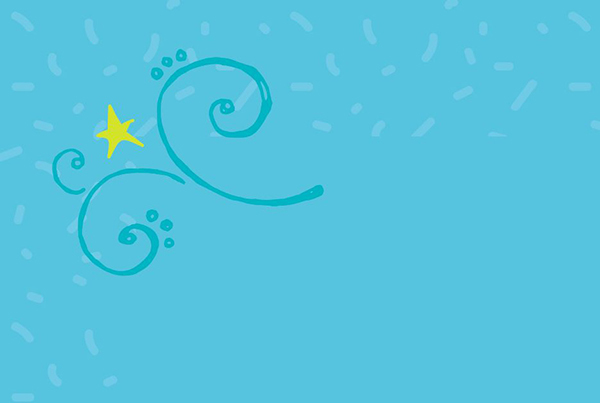 Renee here with an Illustrator-based tutorial for a kid’s birthday card. We’ll create our layout using awesome fonts and ornaments, plus basic Illustrator tools like the pattern creator and blend modes. 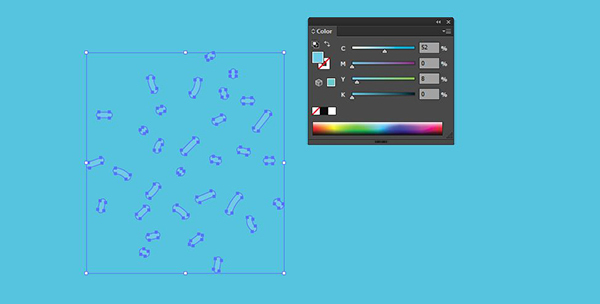 This is a great tutorial for Illustrator beginners. The freebie pack includes spectacular vector ornaments courtesy of Nicky Laatz, Kimmy Design and Yellow Design Studio. This freebie pack is just a small sample of the resources available in The Type Lover’s Bundle for just $29 (that’s 97% off). This bundle includes 109 fonts in 29 versatile font families plus extra ornaments. We’re going to be creating a double sided card with no folds, like a non-mailable postcard. This piece would either be handed out in person or delivered in an envelope. Open Illustrator and go to File > New. 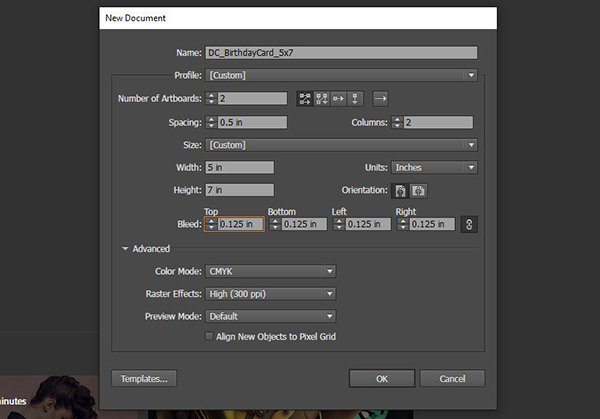 In the New Document dialog box, increase the Number of Artboards to 2. Enter Spacing of .5 inches and 2 Columns (so the images are side by side instead of stacked). Enter a width of 5 inches and a height of 7 inches. Under Bleed, make sure the link icon on the far right is selected (to apply our input to all four sides) and enter a Top bleed of .125 inches. At the bottom of the Layers palette (Window > Layers), double click the name of the layer, Layer 1, and change it to Background. Click on the foreground color swatch at the bottom of your toolbar to bring up the Color Picker. In the Color Picker, enter CMYK values of 60/0/10/0. Press Ok.
Open the Swatches palette (Window > Swatches) and click the New Swatch icon. Name the swatch Bday Cyan and click OK.
We’ll start by working on the first artboard on the left. Select the Rectangle Tool (m). Click once on the artboard. In the dialog popup box, enter a width of 5.25 inches (5 inches plus .125 inches bleed on each side = 5.25). Enter a height of 7.25 inches. Click OK.
To center the rectangle on the artboard, open your Align palette (Window > Align) and under Align Objects, select the icons for Horizontal Align Center and Vertical Align Center. Note: If nothing happens when you click the align icons, you may need to change your Align To settings. Click on the arrow just below Align To at the bottom right of the Align palette and select Align to Artboard. In the freebies folder, navigate to the file from Nicky Laatz’s Font Box. Open the file in Illustrator. With your Selection tool (v), select the pattern. Press cmd + c to Copy. In the main layout file, press cmd + v to Paste. Click on the foreground color swatch at the bottom of your toolbar to bring up the Color Picker. In the Color Picker, enter CMYK values of 52/0/8/0 – just a touch lighter than our background color. Press Ok.
Open the Swatches palette (Window > Swatches) and click the New Swatch icon. Name the swatch Light Bday Cyan and click OK.
Go to Object > Pattern > Make. The Pattern Options will open in a new window. As you can see, the current layout makes it really obvious that the pattern repeats. We’ll make a few slight adjustments to create a more seamless look. With your Group Selection tool (available on the flyout menu of the Direct Selection tool – the white arrow), select any piece on the pattern. Hold down Option and drag to create a copy. 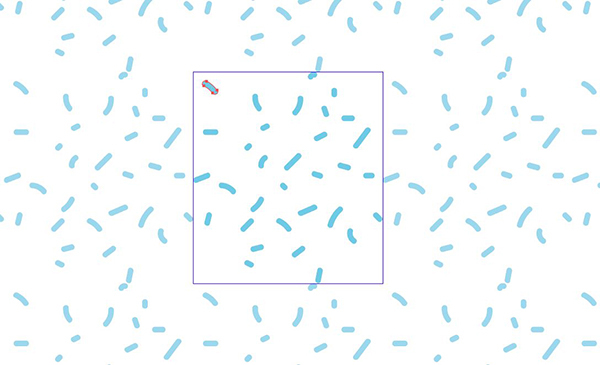 Drag the copy to one of the open areas that’s creating an empty spot in the repeating pattern. Most of the focus will be on adding pieces to the corners. Repeat this process a couple of times until the pattern has a mostly seamless look. Name the pattern Light Cyan Pattern. At the top of the file, click Done. If you take a look at your Swatches palette, you’ll see that the new swatch has been added. Use your Selection tool (v) to select the original vector on the artboard and delete it. 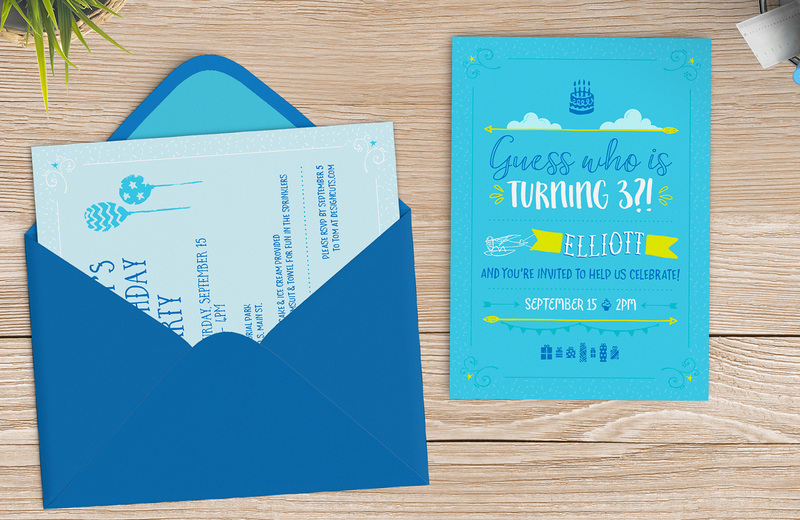 Select the solid Bday Cyan background and press cmd + c to Copy, then cmd + f to Paste in Place. With the copy still selected, choose the new pattern, Light Cyan Pattern, in the Swatches palette. Press Cmd + f again to paste another copy of the background on top of the pattern. At the top of the artboard, change the Width to 4.25 inches and the Height to 6.25 inches. This gives us a nice border effect with our pattern only showing on the outside edges. Now we’ll lock this layer. Open the Layers palette and click the space between the eye icon and the layer name. In the Layers palette, click the Create New Layer icon. Double click the layer name and change it to Content. Select your Type tool (t) and type a lowercase b. In the Character palette (Window > Type > Character), change the font to Canvas Icons Two at 52 pt. Position in the middle of the artboard, about an inch from the top of the artboard. To center on the artboard, open your Align palette and under Align Objects, select the icon for Horizontal Align Center. Click on the foreground color swatch to bring up the Color Picker. In the Color Picker, enter CMYK values of 85/50/0/0. Press Ok.
Open the Swatches palette (Window > Swatches) and click the New Swatch icon. 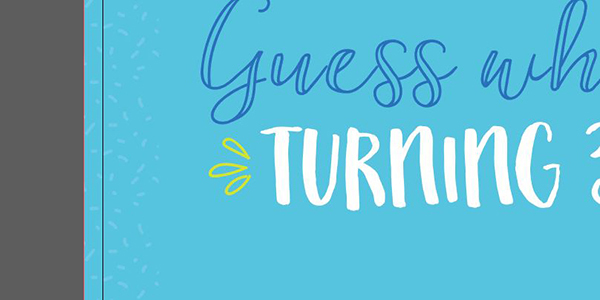 Name the swatch Bday Blue and click OK. In the Freebies folder, navigate to the Kimmy Design file. Select the long arrow and press Cmd + c to Copy. Back in the main layout file, press Cmd + v to Paste. Position the arrow in the middle of the artboard (using the Horizontal Align Center icon) about a quarter of an inch (.25 inches) below the bottom of the birthday cake. Go to Object > Transform > Scale and enter a Uniform scale of 85%, then press OK. In the Color palette, enter CMYK values of 20/0/100/0. In the Swatches palette, click the Create A New Swatch icon and name the swatch Bday Green, then press OK. In the Nicky Laatz freebie file, select both clouds by holding down Shift as you select each with the Selection tool. Press Cmd + c to Copy, then go to the main layout file and press Cmd + v to Paste. Position so they are above the arrow and just connected to it at the bottom edge. Select both clouds, then press Cmd + [ (left bracket) to send them behind the arrow. Open your Transparency palette (Window > Transparency) and select a Blend Mode of Screen. Switch to your Selection tool. In the Character palette, change the font to Fontbox Boathouse at 72 pt. In the Swatches palette, select Bday Blue for the fill color. Center under the arrow. 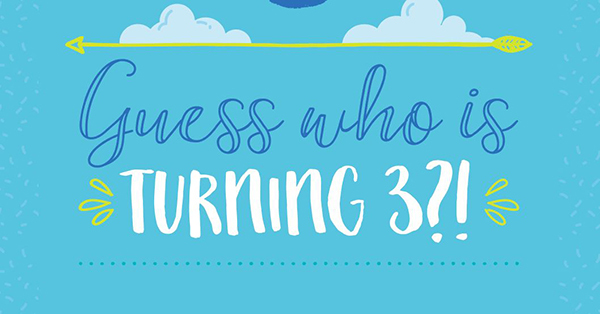 Select your Type tool again and type: turning 3?! Switch to your Selection tool. In the Character palette, change the font to Fontbox Gojiberries at 72 pt. In the Swatches palette, select White for the fill color. Center under the last line of text. In the Nicky Laatz freebie file, copy the 3-piece ornament to the right of the clouds. Paste it into the main layout. Change the fill color to Bday Green. 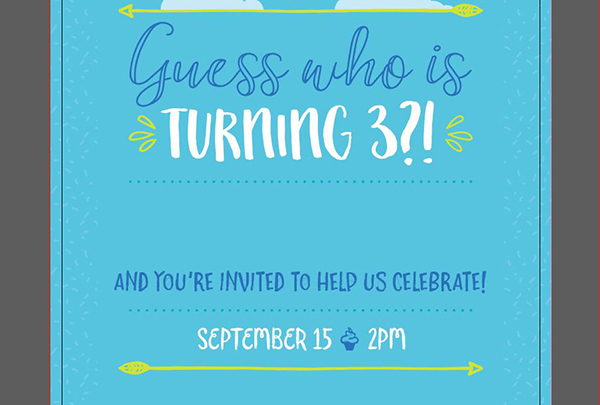 Position the ornament on the left side of the second line of text (turning 3). Go to Object > Transform > Reflect. Choose Vertical, then click Copy. Drag the copy to the right side of the line of text. To make sure the ornaments are centered on the artboard, select both and press Cmd + g to Group them. Then press the Horizontal Align Center icon in the Align palette. 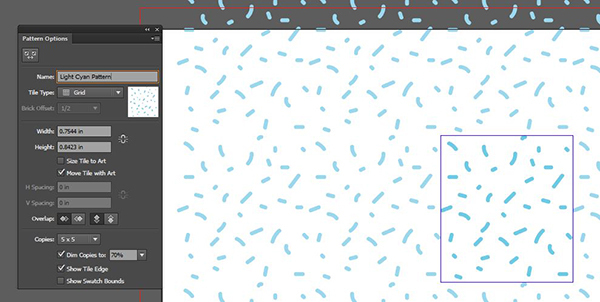 In the Kimmy Design freebies file, copy the dotted line and paste it into the main layout. Position under the last line of text. In the color palette, enter CMYK values of 80/0/25/0. 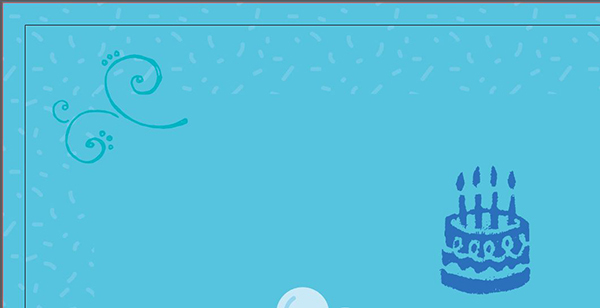 In the Swatches palette, click the Create a New Swatch icon and name it Bday Teal. Go to Object > Transform > Scale. Enter a Uniform Scale of 20%, then click OK. Position the dots so the left side of the far left dot is aligned with the left side of the green ornament (at the left of turning 3). Select the dots. Hold Option and Shift while clicking and dragging to the right to create a duplicate. Release when done, but leave the duplicate dots selected. Now hit Cmd + d several times (about 5 times) to continue duplicating the last action (copying the dots) until they reach all the way across the width of card and almost to the right side of the right green ornament. Hold Shift and select all of the dotted lines. Press Cmd + g to Group them together. Now hold down Shift and use the corner handle to increase the size of the dots until they reach the right side of the right green ornament. We’re going to do a fun little illustration with a plane for the child’s name, so we’ll come back to that after we finish up the rest of the text. Select your Type tool. Leave about an inch of space under the dotted line for the name we’ll add in a later step. 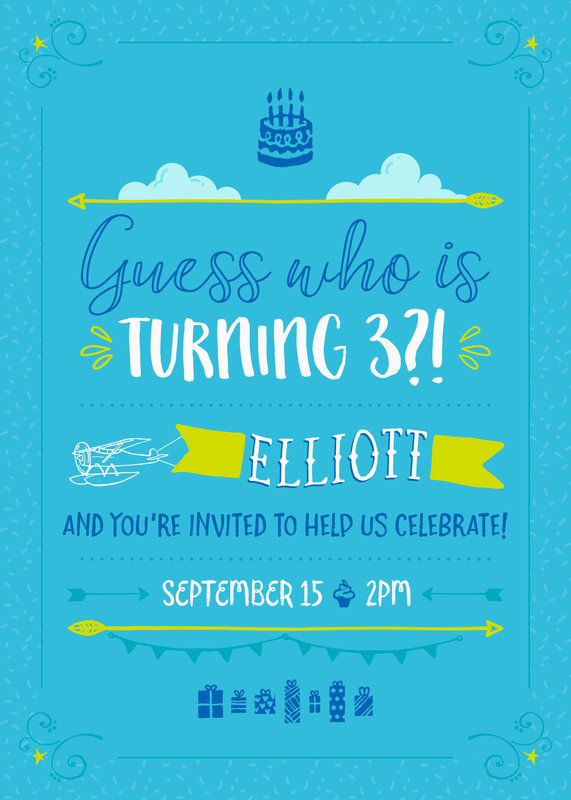 Click once on the artboard and type: and you’re invited to help us celebrate! In the Character palette, change the font to Fontbox Jeronimo Bouncy at 30 pt. In the Swatches palette, choose Bday Blue. Select the line of dots above the last sentence. Hold Shift and Option while clicking and dragging down to make a duplicate. Position the duplicate line of dots below the last sentence. Select your Type tool and click again on the artboard, under the last dotted line. Type: September 15 Q 2PM. In the Character palette, change the font to Canvas Curly Sans Combined at 22 pt and change the color to White. Use your Horizontal Align Center icon in the Align palette to center on the artboard. Use your Type tool to select the Q between the date and time. 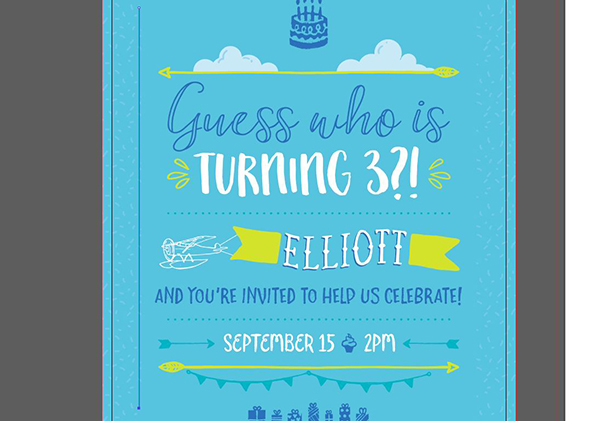 Change the color to Bday Blue and the font to Canvas Icons Three. If you haven’t downloaded the bundle yet, you can find the cupcake in the Kimmy Design freebie file. 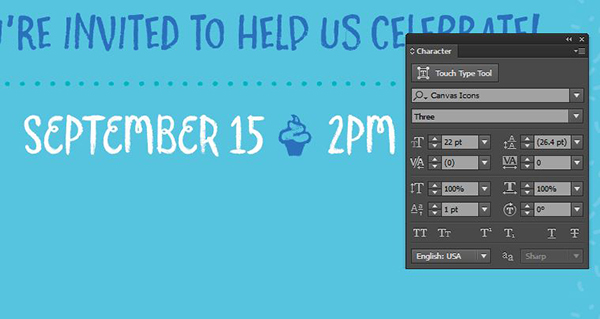 Just leave extra space between the date and time, then paste in the cupcake and change the color to Bday Blue. Select the green arrow at the top of the text. Hold Shift and Option while clicking and dragging down to make a duplicate. Position the duplicate arrow below the last sentence. Go to Object > Transform > Reflect and choose Vertical, then click OK. 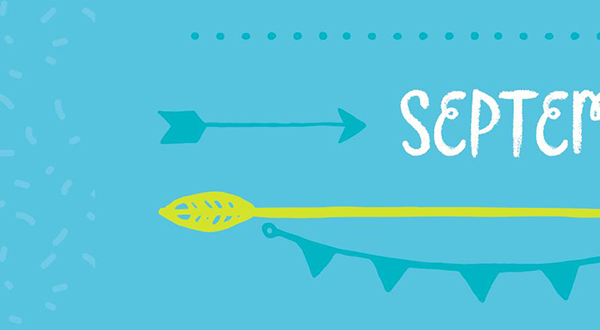 In the Kimmy Design file, select the bunting. Press Cmd + c to Copy, then go to the main layout file and press Cmd + v to Paste. In the Swatches palette, change the fill color to Bday Teal. Go to Object > Transform > Scale. Enter a Uniform scale of 50% and click OK. Position the bunting below the bottom arrow, on the left side. Hold Shift and Option while clicking and dragging the bunting to the right to create a duplicate. 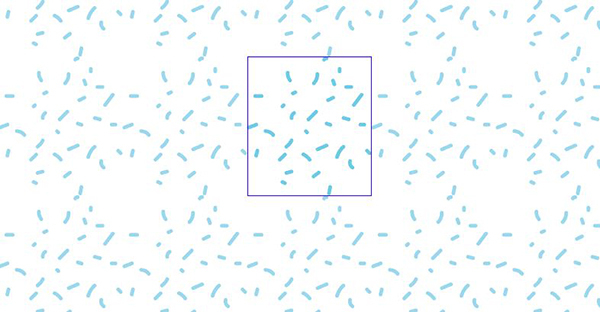 Position the duplicate just to the right of the original, overlapping the open circles so they look connected. …which doesn’t make any sense until you change the font to Canvas Icons One at 23 pt. 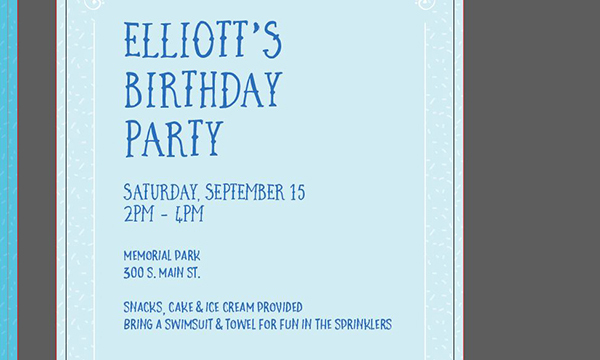 Change the fill color to Bday Blue and position below the bunting, centered horizontally. As before, if you haven’t download the font bundle, these ornaments can be found in the Yellow Design Studio freebies file. In the Kimmy Design file, select the shorter of the two arrows. Copy and then paste it into the main layout file. In the Swatches palette, change the fill color to Bday Teal. Then go to Object > Transform > Scale and enter a Uniform scale of 35% and press OK. Position on the left side of the date. 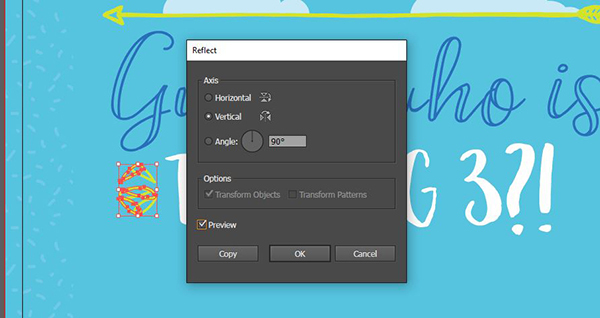 With the arrow still selected, go to Object > Transform > Reflect. Choose Vertical, then press Copy. Drag the copy to the right side of the date and time. In the Layers palette, lock the Content layer. In the Layers palette, click the Create New Layer icon. Double click the layer name and change it to Name Art. In the Kimmy Design file, select the plane and press cmd + c to Copy. Paste it into the main layout file using cmd + v.
With the plane selected, go to Object > Transform > Scale and enter a Uniform scale of 50%, then press OK.
Change the fill color to White and position on the left side of the blank area we left below the first row of dots. In the Character palette, change the font to Fontbox Jolly Sailor at 42 pt. Change the fill color to White. Next, go to Effect > Warp > Flag. Enter a Horizontal Bend of 12% and click OK.
Now go to Object > Transform > Move. For Distance, enter .02 inches. For Angle, enter -130. Click Copy. In the Swatches palette, change your fill color to Bday Blue. Then press Cmd + [ (left bracket) to send the blue text behind the white text. In the Kimmy Design file, select the two partial banners. Copy them, then paste them into the main layout file. With both still selected, go to Object > Transform > Scale and enter a Uniform scale of 130%, then press OK. In the Swatches palette, change the fill color to Bday Green. Then deselect by clicking on an empty spot on the artboard. Select just the left side. Hover over the corner handle until you see the curved, double-sided rotation arrow. Click and rotate the banner section to the right until it’s at the same angle as the first letter in the name – about -8 degrees. Now we’ll do the same thing with the banner section on the right. Select it, line it up with the far right of the name and rotate until it mimics the same angle as the last letter – about -8 degrees again. Switch to your Group Selection tool – the white arrow with a plus sign available in the flyout menu of the Direct Selection tool. Select just the innermost path of the left banner. Now press Delete to create a solid banner. Repeat on the right banner. To complete our plane graphic, we’ll add a couple of lines to connect the banner to the plane. Select your Pen tool (p). Click once just above the stabilizer on the back of the plane, then click again at the top left of the banner. In the Swatches palette, change the Fill color to None and the Stroke color to White. With your Pen tool still selected, create another path by clicking once on the plan below the stabilizer and once on the bottom left of the banner. Switch to your Selection tool and hold Shift to select both lines. 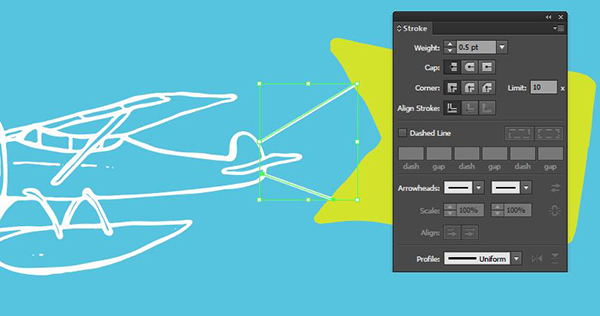 Open your Stroke palette (Window > Stroke) and change the Weight to .5 pt. Lastly for this section, press Cmd + [ (left bracket) twice to send the lines behind the green banner. Create a new layer above all the others and name it Border. In the Kimmy Design file, select the ornamental corner piece. Copy and then paste it into the main layout. Go to Object > Transform > Scale and enter a Uniform scale of 65% and click OK. Position in the top left of the artboard where the solid cyan meets the patterned border. In the Nicky Laatz freebie file, copy the star. Paste it into the main layout. 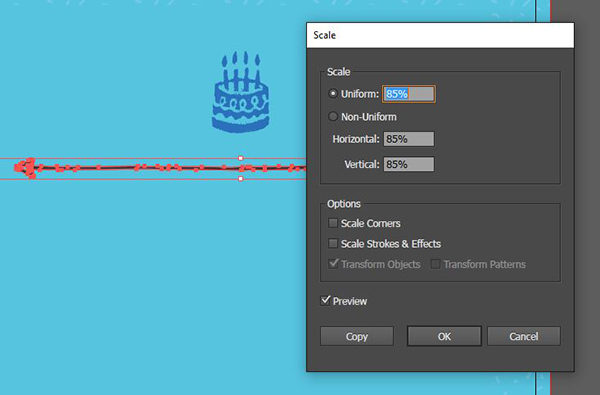 Go to Object > Transform > Scale and enter a Uniform scale of 50%, then click OK. Position in the top left corner, in the space between the two curved sections of the ornamental corner piece. In the Swatches palette, change the Fill color to Bday Green. Then use your Group Selection tool to select the inner path of the star and press Delete to remove it. With your Selection tool, hold Shift and select both the corner piece and the star. Press Cmd + g to Group. Now go to Object > Transform > Reflect. Select Vertical and press Copy. Hold Shift and drag the copy to the top right corner. With the copy still selected, hold Shift and select the original corner and star group. Press Cmd + g to Group again. To make sure they’re centered, click the Horizontal Align Center icon in the Align palette. With the two top corners still selected, go to Object > Transform > Reflect. Choose Horizontal and click Copy. Hold Shift and drag the copies to the bottom corners. To ensure everything is centered, hold Shift and select the top corners group. Press Cmd + g again to Group all 4 corners together. In the Align palette, click the icons for Horizontal Align Center and Vertical Align Center. The last piece of the border will be to draw some lines around the edges. Select your Pen tool. 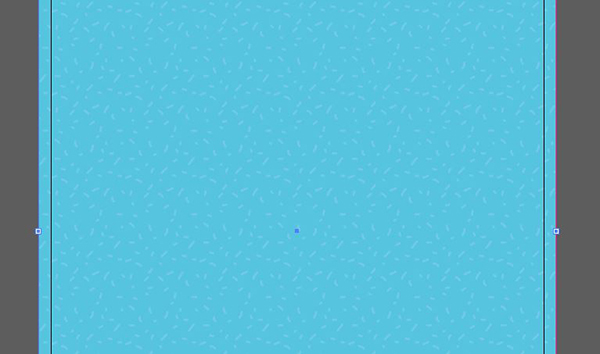 Click once at the top left of the artboard where the solid cyan meets the pattern, but to the right of the corner piece. Hold Shift and click again on the same relative spot on the right side. 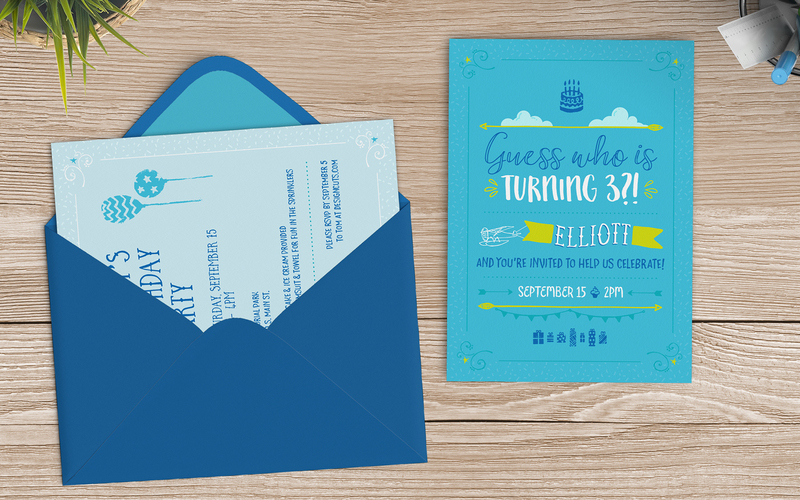 In your Swatches palette, change your Fill color to None and the Stroke color to Bday Teal. Switch to your Selection tool. Select the line. Hold Shift and Option while clicking and dragging down to create a duplicate. Drag the duplicate to the same relative position on the bottom of the artboard. Now we’ll do the same thing on the sides. Select your Pen tool. Click once at the top left of the artboard below the corner ornament. Then hold Shift and click again at the bottom left above the other corner ornament. Use your Selection tool to drag out a duplicate (by holding Shift and Option) and position it in the same spot on the right side of the artboard. We’re going to keep the back of the card relatively simple. In the Layers palette, lock the Border layer and unlock the Background layer. Press Cmd + a to Select All. Press Cmd + c to Copy. Click once on the second artboard on the right. Press Cmd + F to Paste in Place. With everything we just pasted onto the new artboard still selected, hold Shift and click once on the pattern area. 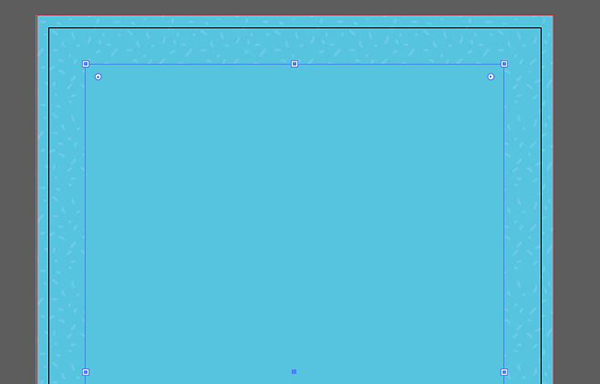 This will deselect just the top pattern layer, leaving us with the two solid cyan rectangles still selected. 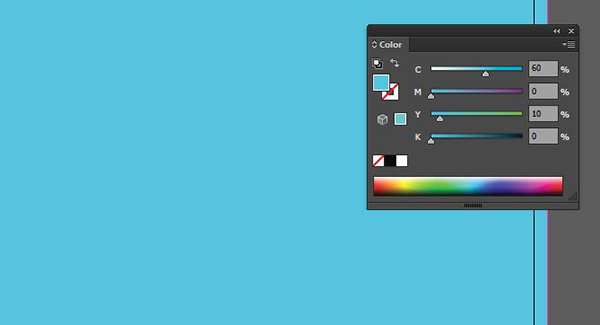 In the Color palette, change the CMYK build to 16/0/4/0. Deselect by clicking an empty space off the artboard. Now click once on the pattern area to select it. In your Transparency palette, change the Blend Mode to Screen. In the Layers palette, lock the Background layer. Unlock the Border layer. Click once on the first artboard then press Cmd + a to Select All. Click on the right artboard and click Cmd + f to Paste in Place. Use your Selection tool while holding Shift to select all four lines around the edges. In the Swatches palette, change the Stroke color to White. Now select the corner sections group. In the Swatches palette, change the Fill color to White. This changes the stars to white as well, but we want them to stand out a little bit. Use your Group Selection tool while holding Shift to select only the four stars by clicking on each one. In the Swatches palette, change the Fill color to Bday Cyan. Lock the Border layer and unlock the Content layer. In the Swatches palette, change the color to Bday Blue. In the Character palette, change the font to Fontbox Jolly Sailor at 20 pt. 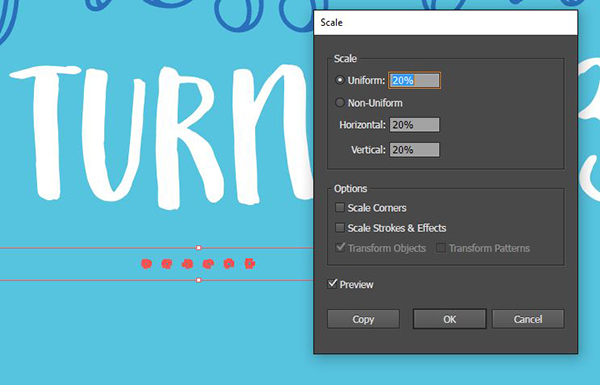 Use your Type tool to select the first three lines and change the font size to 45 pt. Then select from Memorial Park down (the last 4 lines) and change the font to Fontbox Jeronimo Bouncy. Use your Type tool to select all of the text. Hold Option and press the up arrow on your keyboard twice. This will tighten up the leading, the vertical space between lines. It still seems a little too spaced out in areas, so select the title section (the first three lines) and repeat the process. Then select the bottom 4 lines and repeat again. The font should be Fontbox Jeronimo Bouncy at 20 pt with Leading of 16 pt. Open your Paragraph palette (Window > Text > Paragraph) and select Align Right. Now we’ll just add a few decorative elements. On the first artboard, select one of the dotted lines. Press Cmd + c to Copy, then press Cmd + v to Paste. Position it on the second artboard between the left aligned text and right aligned RSVP info. Select your Type tool and click once on the top right of the second artboard. Type a lowercase z. Change the Fill color to Bday Teal. In the Character palette, change the font to Canvas Icons Two at 88 pt. See the Yellow Design Studio freebies file for the outlined version of this and all of the following ornaments if you haven’t downloaded the font pack. Position in the top right of the artboard. Switch to your Selection tool. Hold Option and click and drag to the right to duplicate the balloon. Select the duplicate balloon and type a lowercase v. In the Character palette, reduce the size to 74 pt. Position just below and to the right of the first balloon. Select your Type tool again and type a lowercase b. 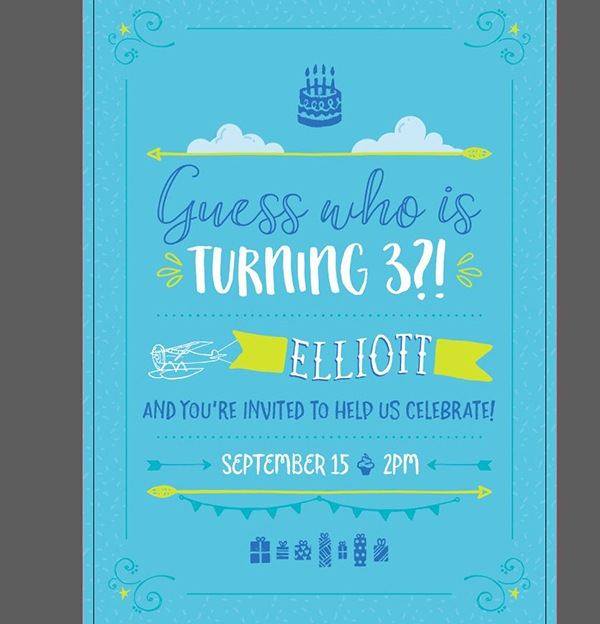 Your font should already be set to Canvas Icons Three, but change the size to 46 pt and Fill color to Bday Teal. Position in the bottom left corner of the second artboard and give it a little rotation to the left – about 15 degrees. With your Selection tool, hold Option and drag the popsicle to the right to create a duplicate. Use the Type tool to select the duplicate and type a capital R. Use the corner handles to change the rotation to about -8 degrees. 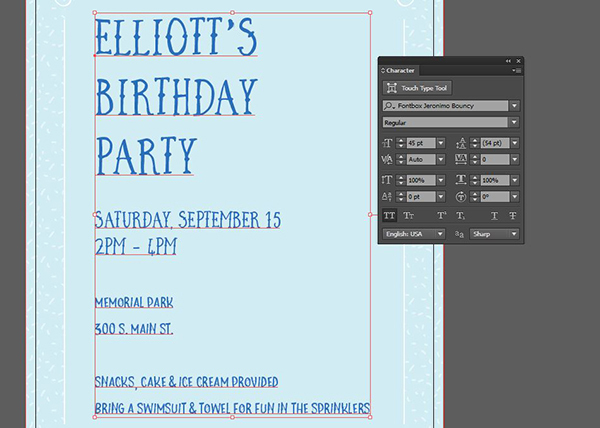 With your Type tool, click once at the top section between the popsicle and ice cream cone. Type a number 6. 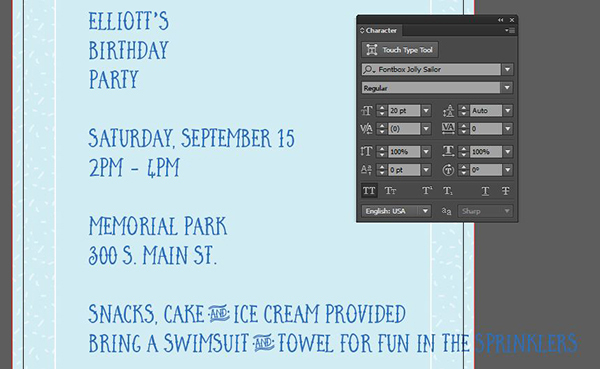 Change the Fill color to Bday Blue and in the Character palette, change the font to Canvas Icons Extras at 30 pt. And we’re done here! 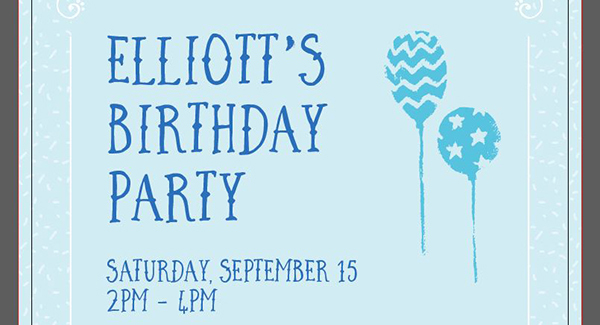 We have an adorable children’s birthday invitation with loads of sweet touches and fun fonts. And there’s still time to check out The Type Lover’s Bundle to grab an unbeatable selection of amazing fonts for only $29. Hello, Thank you for the great tutorial. 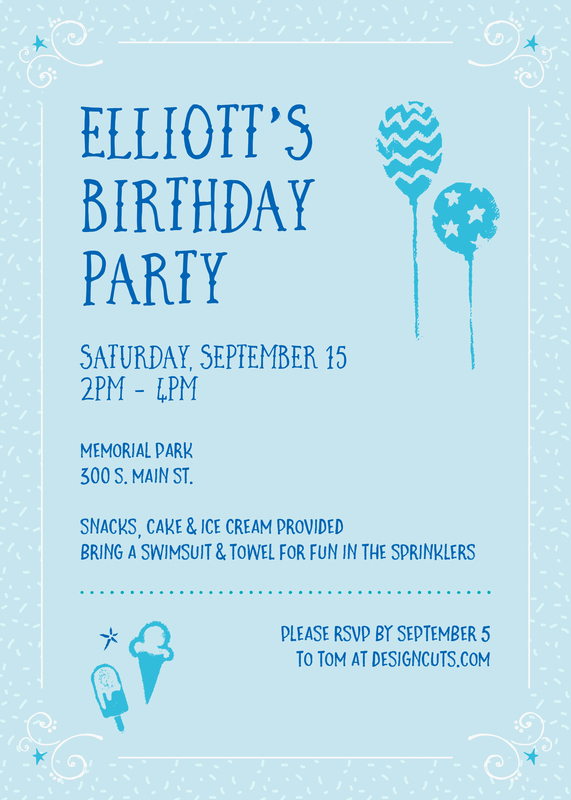 I am new to Illustrator but managed to design a fairly descent card for my daughter’s birthday. Oh that’s awesome news Carmen, well done! hi, I’m wondering if this same card can be made in Photoshop as well. If yes, what is the advantage of making it in Illustrator vs Photoshop? The great news is that you have both .AI & .EPS files included in the freebie for this tutorial, so you should be absolutely fine to give this a go in Photoshop! Hi, thank you so much for this lovely tutorial, where do I find these fonts? You are very welcome, Nicola! Thank you so much for trying out this tutorial 🙂 I hope you enjoyed it! I hope this helps, Nicola, and please don’t hesitate to contact me should you have any other questions. I’m here to help! This is sweet. I can use it too. Is the mockup background from one of the other bundles and if so which one? Is there an envelope in any of them that you would suggest using? Thanks for your comment! I have sent you a quick email to assist you with your query 🙂 I hope it helps, and please don’t hesitate to contact me should you have any other questions. I’m always happy to lend a hand! Just in time for my son’s 4th birthday!